Innovation and a spirit of unyielding enthusiasm reside at the heart of Elaine Osgood’s success. With a bachelor’s degree in Education from the University of Massachusetts at Amherst and a master’s degree in Psychology from Anna Maria College, she decided to employ her knowledge of people in an entrepreneurial venture. Purchasing a Uniglobe Travel franchise in 1986, Osgood achieved every honor the franchiser had to bestow, including: Chairman’s Circle, President’s Award, Owner of the Year, #1 Agency in America and #2 in the World. 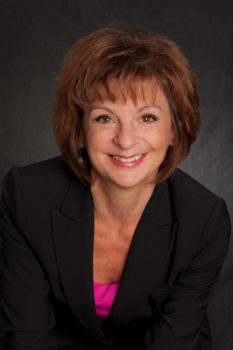 In 1997, Osgood left the franchise world behind and led her team into the global arena as Atlas Travel International, ready to compete with the largest agencies. Today, Atlas Travel & Technology Group – the collective organization for Atlas Travel and its sister technology company, Prime Numbers Technology – is headquartered in Marlborough, MA. During the agency’s 20th year, Osgood was named Ernst & Young’s Entrepreneur of the Year in New England. She has also been distinguished as a Top Business Builder in North America by Fast Company magazine, one of the 100 Most Powerful Women in Travel by Travel Agent magazine, and a member of the prestigious inaugural Inc. 5000 by Inc. magazine. Continuing with her desire to remain an active and involved member of the community, Osgood serves as a Corporator of Milford Regional Medical Center and has chaired its black-tie fundraising gala committee since the Mélange event launched several years ago. She is on the board of directors for Girls Inc. and was elected to the board of the Marlborough Regional Chamber of Commerce.